The man in the above picture was allegedly beaten, stripped naked and disgraced by Don Jazzy and some thugs recently in Lagos, outside POP nite club in Victoria Island. 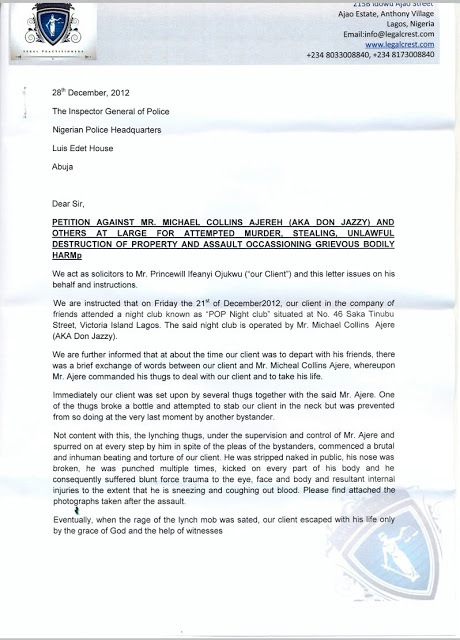 Below is the pettition written against the MAVIN Records boss by lawyers representing the victim. 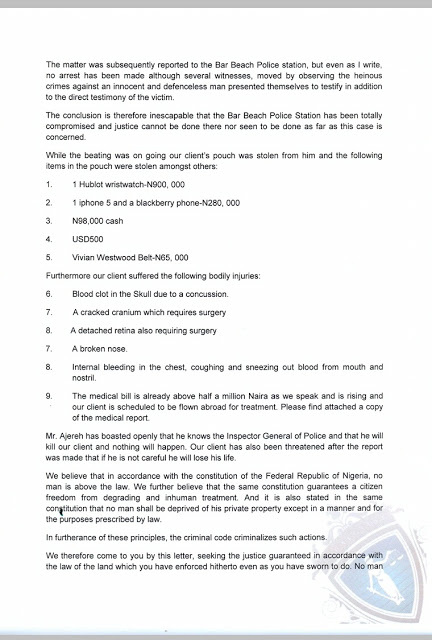 The picture above and the letter below are courtesy of Y!Naija.